Moon impacts very much on earth. It directly impacts on mind and sacraments. Therefore, every Moon yoga is very important. 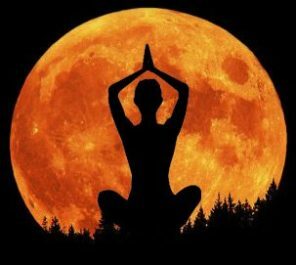 There are three yoga of Moon. Anapha, Sunpha and Durdhara. Any one yoga gives many benefits. One gets good success if he has all three yoga in horoscope. Anapha: It occurs when any planet is in back house of Moon. However, it won’t work if Sun is in this house. A person gets good happiness and prosperity. A person goes on many journeys and he would be social. A person gets goo success in politics. Wear silver bracelet in wrist. Keep your house and bed room clean. Use flowers and flowers fragrance in home. Sunpha: It occurs when many planets are in the second house from Moon. However, it won’t work if Sun is in this house. A person gets good success in education. A person would be rich and he gets success in speech. He gets good success in administration. Avoid alcohol, lie and debt. One should eat saunf and sugar in the morning. Chant Bhagwadgeeta and Ramcharitmanash every day. Durdhara: It occurs when such planets are in the second and twelfth house. However, it won’t work if Sun is in this house. A person would be perfectness and prosperous since birth. They don’t face any problems in life. A person moves toward quietude and he would be saint. One should follow religious way. Keep your conduct clean. One should worship god. Regularly use light fragrance. Drink milk and water in silver glass. Good Luck: Do not sleep during sunset. It decreases age.